Ronnie Coleman Signature Series has dropped a new version of its stimulant powered pre-workout supplement Yeah Buddy, over in Europe. The updated product features a formula very similar to the Yeah Buddy the brand introduced early last year fueled by TeaCrine and Dynamine. 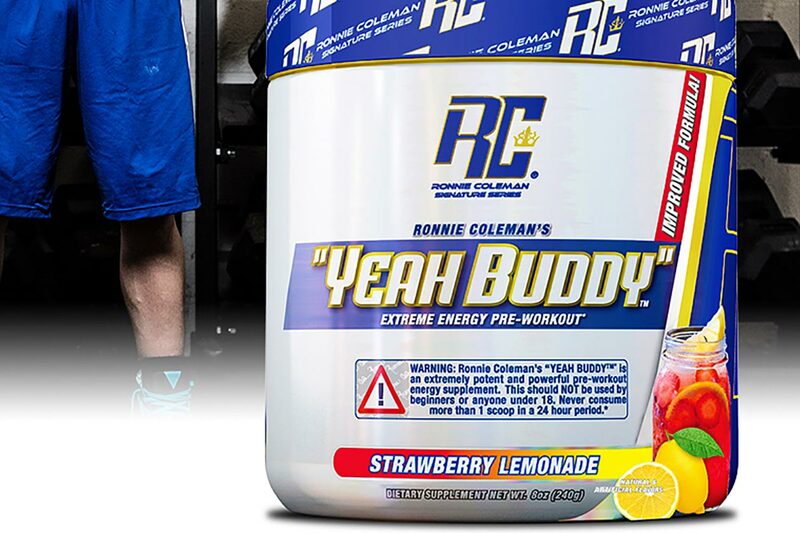 The Yeah Buddy that Ronnie Coleman fans in Europe now have access to has almost every ingredient the US edition does. For performance, pumps and mental focus it comes with 2g of beta-alanine, 4g of citrulline malate at a 2:1 citrulline to malic acid ratio, and 550mg of choline bitartrate. All of those ingredients and doses mentioned are in the US version of Yeah Buddy, with the other side of the supplement being where things get a bit different. The European pre-workout includes the same caffeine blend of caffeine anhydrous and Encapfeine for energy, but at 380mg instead of 400mg. Next, you have 100mg each of theacrine and kucha tea extract in place of the branded Compound Solutions stimulants, TeaCrine and Dynamine. Rounding out the formula is 50mg of adhatoda vasica, which like the citrulline, beta-alanine, and choline, is in the US Yeah Buddy and at the same dose. Ronnie Coleman Signature Series’ all-new European Yeah Buddy is now in stock and available from its massive European distributor Prometeus in 30 serving tubs. The product does have quite the selection of flavors to choose from with Green Apple, Sour Berry, Strawberry Lemonade, and Cherry Limeade.